I received a travel-sized tube of Organic Surge's Brightening Hot Cloth Cleanser as a freebie with an order a few months ago; as a bit of a cleanser addict, I was thrilled to be able to try out a new one, and have been using this as part of my evening skincare routine for about six weeks now. I always remove my make-up (on days when I'm wearing it!) with a micellar water before double-cleansing properly, so this has been my first evening cleanse. "Gently remove all dirt and impurities with this highly effective facial cleanser which harnesses the highest quality essential oils to care whilst it cleans for fully rejuvenated skin. Massage into dry skin over face and neck, then use your favourite face cloth rinsed in hand hot water to wipe your face clean. Rinse cloth and repeat, then pat dry with a towel." So, as suggested, I spend around a minute massaging the cleanser into my face and neck; I find a little goes quite a long way, I'd guess I use slightly less than an almond-sized amount each evening. This feels really lovely on my skin and I love the gentle rose fragrance it has, which is really soothing and luxurious; perfect at the end of a long day. I then gently wipe off with my flannel as recommended, and follow up with a gel-based cleanser to ensure my skin is thoroughly cleansed (I'm currently using this Una Brennan one which I love). I've really enjoyed having this cleanser as part of my evening routine; not only does it feel lovely on my skin and smell beautiful, but it seems to work really well with my skin-type and the rest of my routine. My skin has been calmer the past few months than it has since I was about ten! I love how this is helping to keep my skin soft, nourished and clear-ish of blemishes. 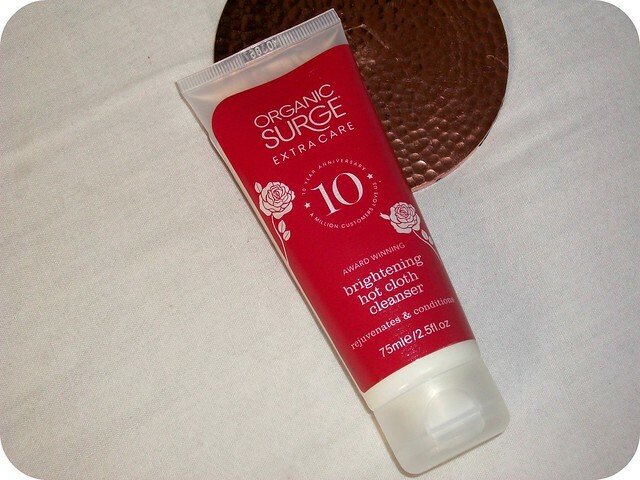 Organic Surge says it's suited to normal to dry or mature skins, but in my experience it suits oily skin just fine! The Brightening Hot Cloth Cleanser is priced at £13.95 for 150ml here, which I think is a great price - I've barely dented my 75ml tube and, as I said, I've been using it almost-daily for around six weeks now. I can easily see it lasting another three or four months, so the 150ml bottle should last around eight months by my maths! Have you ever tried Organic Surge's skincare? What's your favourite type of cleanser? I've never tried a hot cloth treatment, but it sounds like a real treat for the face! 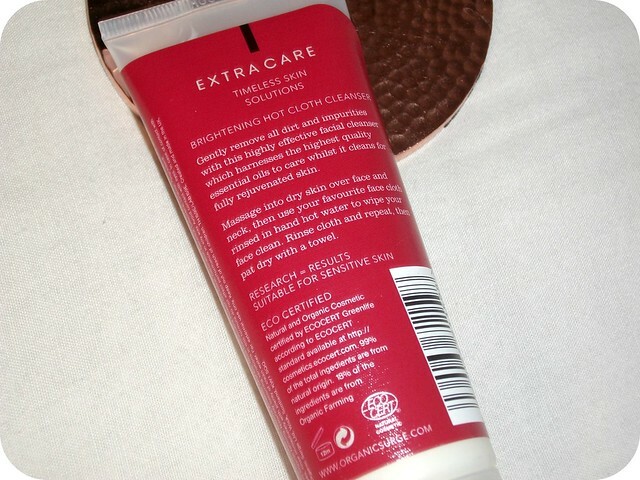 I'd never heard of this product before, but I do love a good hot cloth cleanser, thanks for sharing! I've never tried a hot cloth cleanser as the ones I've seen have been slightly out of my price range but for the price of this it sounds wonderful and food to know it works on oily complexion as well as it does on normal/dry! Love that it's Rose scented too, very relaxing! I am glad that it made your skin look and feel healthier. My skin is dull at the moment and definitely needs brightening up!